The economy is a complex, world-spanning, layer-upon-layer-upon-layer behemoth: One could argue that almost every aspect of our lives is connected to the realms of business and finance. And yet few of us truly understand it—even the world’s foremost economists can’t seem to agree on how it runs. 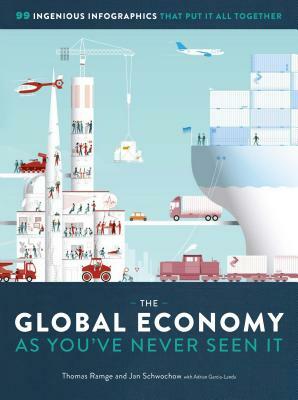 Economics connects us all, from what we buy, to how we buy it, who made it, and where. See the economy differently—and the world. Jan Schwochow, an infographic specialist, was the art director of Stern magazine’s infographics and today is the founder and CEO of the Infographics Group, which has received numerous awards. He’s the author of the bestsellers Understanding Germany and the 100 + 1 Facts series.